Original air date on Thumbin Radio – Friday, September 26, 2014. A tribute to Hank Williams. Songs he made famous, but performed by other artists. The post Honky Tonk Hardwood Floor 52: Hank appeared first on Thumbin Radio. Original air date on Thumbin Radio – Friday, September 22, 2014. Some Possum and other great stuff. The post Honky Tonk Hardwood Floor 51 appeared first on Thumbin Radio. Original air date on Thumbin Radio – Friday, August 22, 2014. This was basically a “legends of country music” show with a couple of curve balls thrown in. The post Honky Tonk Hardwood Floor 50 appeared first on Thumbin Radio. Original air date on Thumbin Radio – Friday, August 8, 2014. To me, this episode represents songs that embody what country music is all about: pain and misery, sadness and heartache. The post Honky Tonk Hardwood Floor 49: Pain and Misery appeared first on Thumbin Radio. Original air date on Thumbin Radio – Friday, July 18, 2014. All current country artists on tonight’s show. The post Honky Tonk Hardwood Floor 47 appeared first on Thumbin Radio. Original air date on Thumbin Radio – Friday, July 11, 2014. All female singers tonight on the HTHWF. The post Honky Tonk Hardwood Floor 46: Ladies appeared first on Thumbin Radio. Original air date on Thumbin Radio – Friday, June 27, 2014. Sorry this took me so long to post. It’s been so long I have no idea what I played. The post Honky Tonk Hardwood Floor 45 appeared first on Thumbin Radio. Original air date on Thumbin Radio – Friday, June 13, 2014. Friday the 13th, a full moon, rain and more on this week’s HTHWF. The post Honky Tonk Hardwood Floor 44 appeared first on Thumbin Radio. Original air date on Thumbin Radio – Friday, June 6, 2014. Nothing but hillbilly boogies on this episode. The post Honky Tonk Hardwood Floor 43: Boogie appeared first on Thumbin Radio. Original air date on Thumbin Radio – Friday, May 30, 2014. Are you living life or just going through the motions? Songs about life and living in this episode of the HTHWF. The post Honky Tonk Hardwood Floor 42: Life appeared first on Thumbin Radio. Original air date on Thumbin Radio – Friday, May 23, 2014. Another week, another show chock full of great, honky tonkin’, hillbilly music. Also some news about the future of Thumbin’. We need your help to keep this going. The post Honky Tonk Hardwood Floor 41 appeared first on Thumbin Radio. Original air date on Thumbin Radio – Friday, May 16, 2014. Tonight’s HTHWF was all about money. The post Honky Tonk Hardwood Floor 40: Money appeared first on Thumbin Radio. Original air date on Thumbin Radio – Friday, May 9, 2014. Some songs about gambling and more. The post Honky Tonk Hardwood Floor 39 appeared first on Thumbin Radio. Original air date on Thumbin Radio – Friday, May 2, 2014. Sorry this one is so late! The post Honky Tonk Hardwood Floor 38 appeared first on Thumbin Radio. Original air date on Thumbin Radio – Friday, April 25, 2014. The usual mix of classics, current artists and more obscure traditional country. The post Honky Tonk Hardwood Floor 37 appeared first on Thumbin Radio. Original air date on Thumbin Radio – Friday, April 11, 2014. Classic country, bluegrass, western swing and a set of modern day greats. The post Honky Tonk Hardwood Floor 36 appeared first on Thumbin Radio. Original air date on Thumbin Radio – Friday, March 28, 2014. This show was so long ago I don’t remember what I played. Download and find out. The post Honky Tonk Hardwood Floor 35 appeared first on Thumbin Radio. Original air date on Thumbin Radio – Friday, March 14, 2014. Had some technical problems tonight. I hope it doesn’t detract from the show too much. This show was centered around lovers that have gone and left. The post Honky Tonk Hardwood Floor 34: Gone appeared first on Thumbin Radio. Original air date on Thumbin Radio – Friday, February 28, 2014. A set of newer artists on the Cow Island record label, and of course, some classic country. The post Honky Tonk Hardwood Floor 33 appeared first on Thumbin Radio. Original air date on Thumbin Radio – Friday, February 21, 2014. A mix of newer artists, like Kern Richards, and some classics as well. The post Honky Tonk Hardwood Floor 32 appeared first on Thumbin Radio. Original air date on Thumbin Radio – Friday, February 14, 2014. Special Valentine’s Day episode- all songs about heartbreak and heartache. The post Honky Tonk Hardwood Floor 31 appeared first on Thumbin Radio. Original air date on Thumbin Radio – Friday, January 31, 2014. All songs about life this time around. Good, bad and in between. The post Honky Tonk Hardwood Floor 30 appeared first on Thumbin Radio. Original air date on Thumbin Radio – Friday, January 24, 2014. Lots of vintage country, along with tracks by The Palominos and the Undead Joe Trio. The post Honky Tonk Hardwood Floor 29 appeared first on Thumbin Radio. Original air date on Thumbin Radio – Friday, January 17, 2014. A couple tracks from The Palominos…and lots of great classic country. The post Honky Tonk Hardwood Floor #28 appeared first on Thumbin Radio. Original air date on Thumbin Radio – Friday, January 3, 2014. The first show of 2014. Sorry for the delay! No classic country this time around, only newer artists playing in the traditional style. The post Honky Tonk Hardwood Floor 27 appeared first on Thumbin Radio. Original air date on Thumbin Radio – Friday, December 20, 2013. A short tribute to Ray Price and some Christmas songs. The post Honky Tonk Hardwood Floor 26 appeared first on Thumbin Radio. Original air date on Thumbin Radio – Friday, December 6, 2013. A mixed bag of classics and more obscure stuff. The post Honky Tonk Hardwood Floor 25 appeared first on Thumbin Radio. Original air date on Thumbin Radio – Friday, November 15, 2013. Some newer artists, some classics, and some obscure stuff as well. The post Honky Tonk Hardwood Floor 24 appeared first on Thumbin Radio. The post Honky Tonk Hardwood Floor 23 appeared first on Thumbin Radio. The post Honky Tonk Hardwood Floor #22 appeared first on Thumbin Radio. The post Honky Tonk Hardwood Floor #21 – only on Thumbin Radio appeared first on Thumbin Radio. The post Honky Tonk Hardwood Floor #20 – only on Thumbin Radio appeared first on Thumbin Radio. The post Honky Tonk Hardwood Floor #19 – Thumbin Radio appeared first on Thumbin Radio. 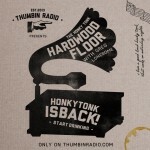 The post Honky Tonk Hardwood Floor #18 – only on Thumbin Radio appeared first on Thumbin Radio. The post Honky Tonk Hardwood Floor #17 – only on Thumbin Radio appeared first on Thumbin Radio. The post Honky Tonk Hardwood Floor #16 – only on Thumbin Radio appeared first on Thumbin Radio. The post Honky Tonk Hardwood Floor #15 – Prison appeared first on Thumbin Radio. The post Honky Tonk Hardwood Floor #14 – Cowboy Jack Clement appeared first on Thumbin Radio. The post Honky Tonk Hardwood Floor #13 appeared first on Thumbin Radio. Original air date on Thumbin Radio – Friday, July 12, 2013. My first show with my new broadcasting software all dialed in the way I want it. I think it turned out pretty good, sound-wise. Hopefully, you’ll agree. The post Honky Tonk Hardwood Floor 12 appeared first on Thumbin Radio. The post Honky Tonk Hardwood Floor #12 appeared first on Thumbin Radio. The post Honky Tonk Hardwood Floor 11 appeared first on Thumbin Radio. Original air date on Thumbin Radio – Friday, June 14, 2013. Tonight’s HTHWF was inspired by Elvis Costello and the Attractions’ “Almost Blue” LP. That’s all I’ll say, tune in and see what it’s about. The post Honky Tonk Hardwood Floor 10: Almost Blue appeared first on Thumbin Radio. Original air date on Thumbin Radio – Friday, June 7, 2013. Tonight was the HTHWF’s Friday debut, where it will likely stay for the next little while, at least. This episode started off with some rockin’ country boogies and then went into some classics, some songs about drinkin’ and more. The post Honky Tonk Hardwood Floor 9 appeared first on Thumbin Radio. Original air date on Thumbin Radio – Saturday, May 18, 2013. Tonight on the HTHWF I played all hillbilly boppers that were on the rockin’ side. This show ought to keep your toes tappin’! The post Honky Tonk Hardwood Floor 8: Boppin’ Hillbilly appeared first on Thumbin Radio. The post Honky Tonk Hardwood Floor 7: Honky Tonkin’ appeared first on Thumbin Radio. The post Honky Tonk Hardwood Floor 6 appeared first on Thumbin Radio.